Uri Geller says he's going to telepathically interfere in Theresa May's head to stop Brexit. This might be the best idea anyone has had in this week's installment of Brexit: The Never-ending Story. The man we all marvelled at when he bent those teaspoons using only the power of his mind (I can say this with confidence because I witnessed it at first-hand in a TV studio, although I can't say his skills extend to Prime Minister's brains), says he loves the British Prime Minister and admires her very much, but feels that the British people really don't want Brexit so he needs to step in. But he won't physically step in because he lives in Israel now, but that doesn't matter because he can intervene remotely in a "drastic course of action" to stop it all. If only it were so simple, Uri. We haven't learned much this week, in fact, the waters are even muddier. Brexit Day has moved to 12 April and the third meaningful vote may or may not happen again next week. The British Prime Minister blamed MPs for the mess, leading some of them to suggest that her words put them at physical risk and more likely to be threatened by extremists on either side of the row. Her address to the nation, pointing the finger at the people she so desperately needs to support her, seemed a little odd to say the least. Poking someone in the eye is hardly the best way to ensure they'll back you when it comes to the crunch. Theresa May is looking increasingly isolated, frustrated and that theory that she's the type who can't see any other course but the one she alone has plotted is looking closer to the truth than ever. We've all wondered how on earth she hasn't just given up by now and while there has been some admiration for her stamina, it all looks a little dogged and pointless as time goes on. In the early days of the negotiation, she said many times that no deal is better than a bad deal - that seems to have fallen by the wayside, according to the Brexiteers. Now it's not hard to see how her critics could quite reasonably suggest that this entire endgame mess is strongly hinged on her desire to remain in the job at all costs and to push through a round deal that just won't fit in Westminster's square holes. Richard Madeley might know a thing or two about how Uri Geller will remotely intervene in Mrs May's brain in the coming days in an effort to stop Brexit altogether. The erstwhile 'This Morning' host, he of Richard and Judy fame, interviewed Mr Geller many times at the height of both men's fame. But Richard is busy dealing with Brexit in his own way this week. He has a problem page in the Telegraph newspaper and a man who attends an art history class wrote to him saying that he feels he has to leave his once-enjoyable retirement activity because Brexit has resulted in it becoming a melee of political punch-ups. Richard's advice was to try to find a way to see this as a challenge, "the chance to find a way to respect the views of others while profoundly disagreeing with them". Brexit is still a steaming mess, almost three years since the ballot boxes were opened. It might just be time to get Richard Madeley and Uri Geller on the case now and if that doesn't work, Mr Motivator and Noel Edmonds might just come up with something next week. 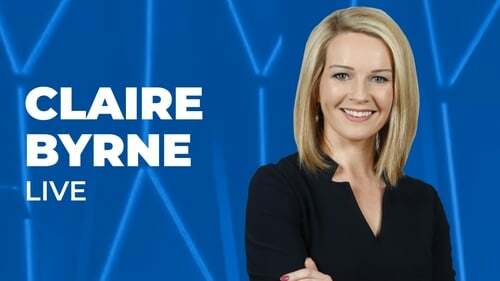 In the meantime, do join me on RTÉ One television, Monday night at 10.35pm for the very latest on Brexit and much more.